Canada has one of the most expensive universal health-care systems in the developed world. However, there is an imbalance between the value Canadians receive and the relatively high amount of money they spend on their health-care system. Of particular concern is the fact that Canada has significantly fewer physicians and acute-care beds, and also ranks poorly for the availability of important medical technologies like MRIs and CT scanners. Of course, the most spectacular failure of Canada’s health-care system is manifested in the form of wait times, which have become a defining feature of the Canadian health-care experience. These failures have little to do with the notion of universal health care or spending. Not only does Canada rank among the top spenders on health care internationally, but provincial governments within the country have been increasing spending at unsustainable rates for years. There are several other countries around the world that share the goal of ensuring universal access to health care regardless of the patient’s ability to pay; and generally, with similar or lower health expenditures, they perform on par or better on most indicators of performance. A comparison of health policies that compares Canada’s with those in eight other high-income OECD countries with universal health care (Australia, France, Germany, the Netherlands, New Zealand, Sweden, Switzerland and the United Kingdom) reveals significant differences. Canada is the only country of the nine where private financing for medically necessary services is disallowed and where the private sector is for the most part shut out of delivering medically necessary treatment. The ability of outpatient and inpatient specialist physicians to practise both in publicly funded universal settings and in private settings is also severely restricted in Canada in contrast to the other countries. Canada and the United Kingdom are the only two countries among the nine where patients are not expected to share directly in the cost of medically necessary treatment. Finally, Canada is the only country in the cohort that relies almost exclusively on prospective global budgets to fund its hospitals in contrast to other countries that are increasingly moving towards payment based on some measure of activity. 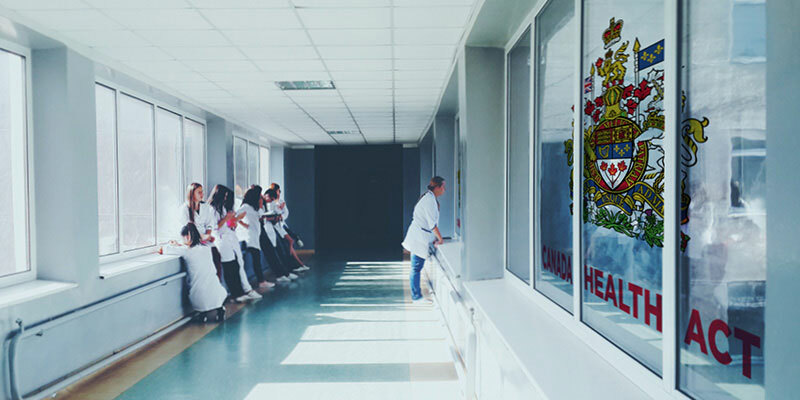 Clearly, the policies that characterize Canada’s health-care system stand in stark contrast to those pursued by other—arguably more successful—universal health-care systems. These differences, coupled with evidence of how Canada’s health-care system underperforms, suggest the need for policy reform.